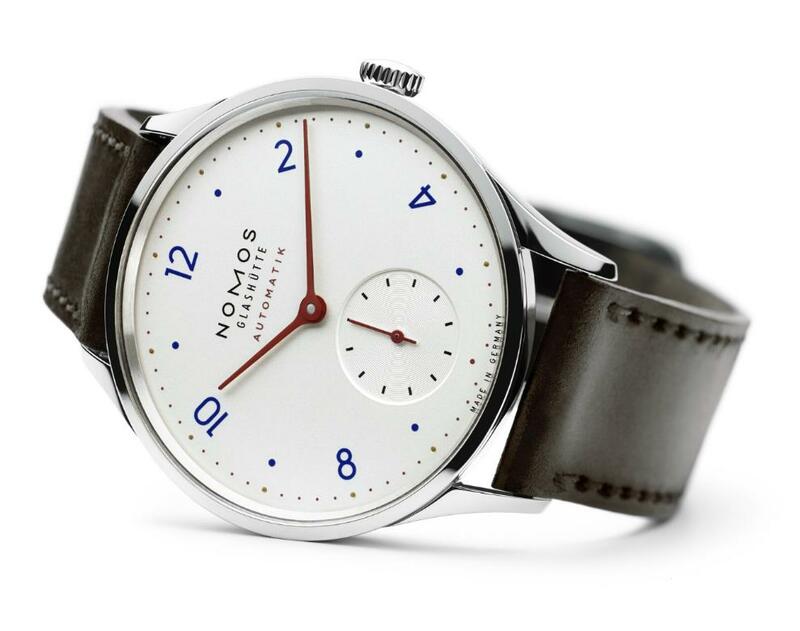 Being known with it's Simple is Beautiful motto, Nomos presents it's new comer model Minimatik. 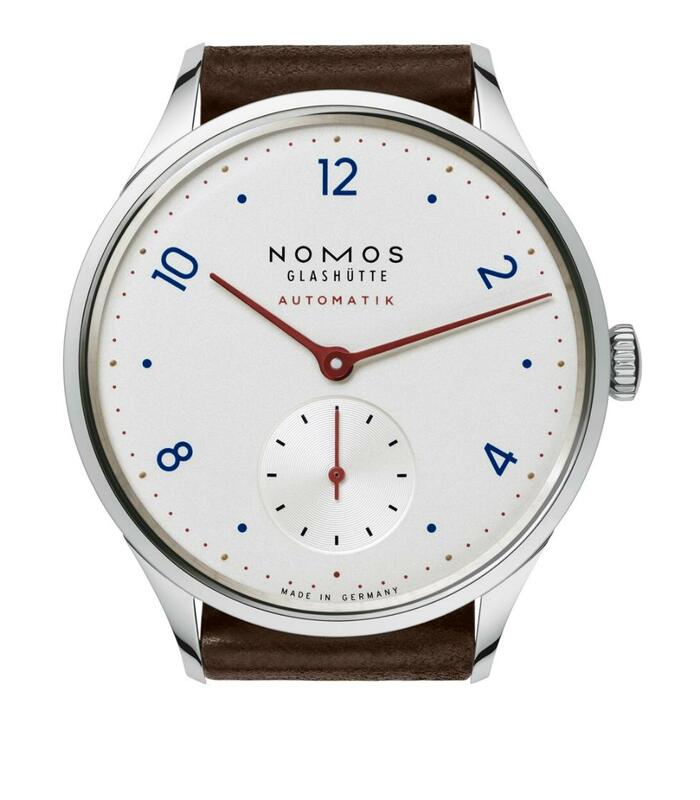 Sized quite moderately at 35.5mm X 8.6mm, Nomos Minimatik features a stainless steel case. Slightly domed sapphire crystal perfectly matches the retro mood of the watch. WR30M water resistance is approved. 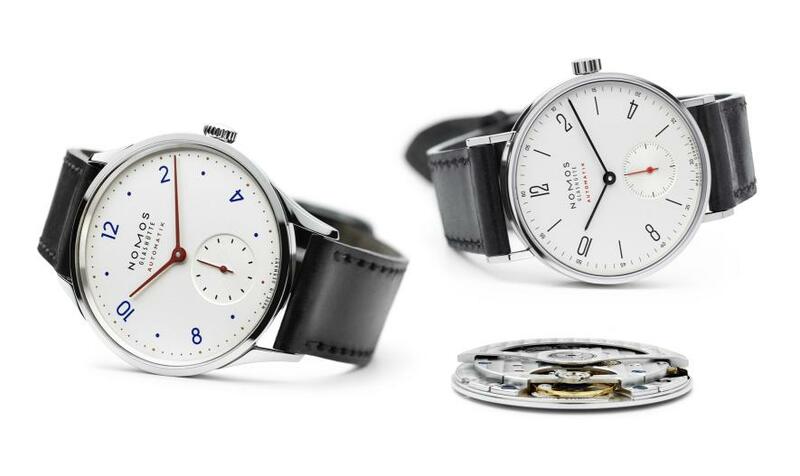 Minimatik features the Nomos in-house caliber DUW 3001. 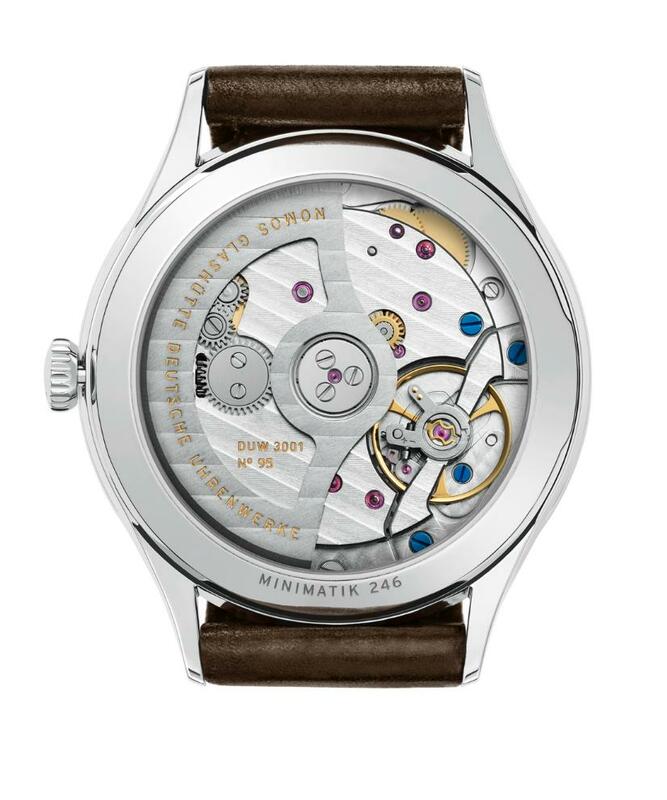 27 jewels caliber beats at 21600vph and provides 42h power reserve when fully wound. Adjusted at 6 positions the caliber is perfectly decorated with rodium finish and heat blued screws together with blue hair spring. Another successful detail is the Glasshütte main plate. The dial is made of galvanised sterling silver. The hands are colored in red lacquer. Minimatik offers dark brown leather strap with standard stainless steel buckle.